The animals always catch our attention. It can be because of their look, color or by funny character. But sometimes we fail to understand the real them. The calm and quite looking cute ones can be the most dangerous animals. Here we list top ten animals that seem to be harmless but are deadly. The moose looks quite friendly in appearance. Even we may feel that some of the moose hold an attractive smile on face. They are the largest and heaviest animals in Deer family. 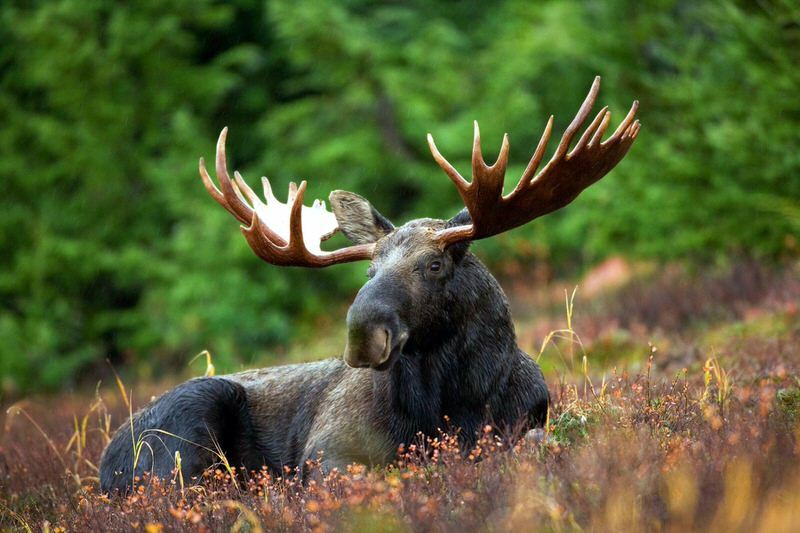 The moose or elk have got broad attractive antlers for males. They usually live in temperate climatic regions. Currently, most of them are seen in regions of Canada, Russia, and Alaska. The diet of moose includes vegetation of both land and sea. They got a strong bond between mother and calf always. But it is better to keep a distance with them always. It is because even though moose are not aggressive towards humans, there are specific incidents of the same. The moose can be dangerous when they are frightened. The most important part is that the moose do attack a large number of people than bears and wolves. The presence of dogs too can make the moose violent. The situation where they not provided with enough food will also make them aggressive. Apart from this animal will be more aggressive in their mating seasons. The cows with young calves are usually protective. So they will show a tendency to attack humans if they come closer. Of course, these animals will never view humans as food, but they will attack people and can cause major injuries. So they deserve mention in the list of animals that look harmless but even cause death. Wolverine is fuzzy and pretty cute in look. The first look of them will give a calm appearance only. They found in large numbers in Northern Canada and Alaska. However, they are not as cute as they look! This muscular carnivore with beautiful fur has aggressive weasel and powerful claws. They are capable of attacking large organisms including human beings. Their jaws and sharp claws help them to have their prey fast. While feeding something wolverines look more violent. They got a vast range of preys ranging from small squirrels and rabbits to moose and elk even. They will attack humans if they get provoked. There are specific incidents where these animals were chosen as pets and attacked the people later. However, they seem to be happy with small preys in their habitat. It doesn’t mean that they possess no threat to humanity. Interaction with these wild animals should be avoided with almost care. The innocent look from their smooth fur is capable of attacking you desperately. 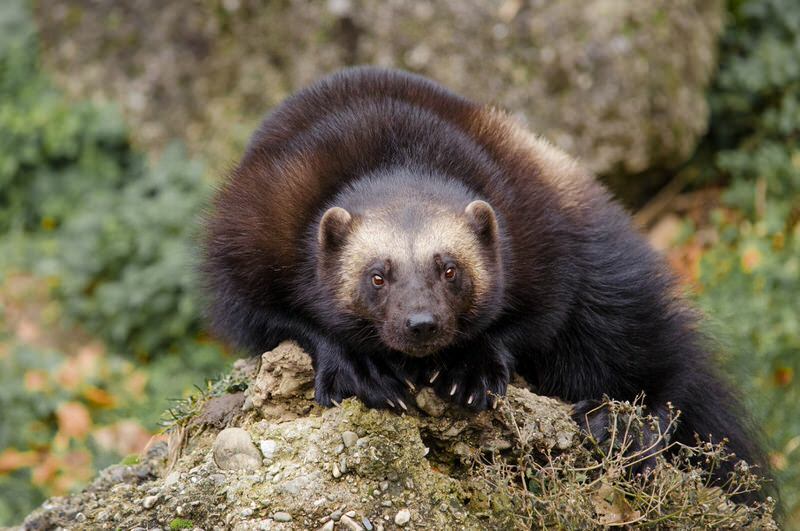 Even though wolverines seem extinct in many regions as a result of wild hunting, it is a hidden threat for wild travelers and animal lovers. Thus they are included in the list of animals with a harmless look and harmful effect. You can’t sometimes prevent yourself from touching the beautifully patterned shell of geographic cone snail. They live in the reef of Indopacific regions. They usually hunt small fishes. The thin shell is pink, red or white colored — the shell covered by thread-like strings. But beneath this beautiful structure, there is a shocking truth. The cone snail got an incredible ability to detect preys swimming nearby. Once they recognize them, immediately they use a needle-like growth from the mouth. It will inject a type of venom to its preys. This venom is highly toxic and got some painkilling properties as well. It will make the body of prey paralyzed. 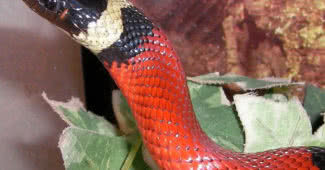 The painless feature of the venom is most dangerous since the affected will not be able even to detect it. These killing snails didn’t find humans as much tasty. But it doesn’t mean we are safe. They are a threat to divers usually. In 2004 around thirty human deaths are reported due to cone snails. A very few quantities of the toxin is capable of killing around ten people. The very pleasant looking snail holds more than 100 types of toxins in its six-inch body. The poisonous mixture called as nirvana cabal. Taking the shells with gloves even found to cause dangerous effects. Thus the shining beauty snails look harmless but are highly deadly. Those beautiful eyes will make you fall in love with Slow Loris. They are a kind of nocturnal animals found in Southeast Asia and nearer regions. Slow Loris is attractive with their big round eyes and soft fur. But beware! It is one among venomous mammals of the world. Slow Loris elbows can release a type of venom from their sides. The secreted venom, when mixed with their saliva becomes a highly toxic material. Whenever the animal feels like threatened, it will release the venom to mouth. Later a bite from the animal will cause death. In industry, these animals are sold out as pets illegally. They are hunted and handled in inhuman conditions. To avoid poisonous bites, some people remove their tooth as well. Being nocturnal animals, they suffer a lot in rooms where they can’t express natural behaviors. Without sufficient balanced diet, they suffer from health issues as well. Removal of the teeth from them is not a way to get rid completely from the poisonous effects. They cause anaphylactic shocks in humans also paving the way to death. So it is a big mistake to choose them as pets since it makes them extinct and also causes harm to human beings. 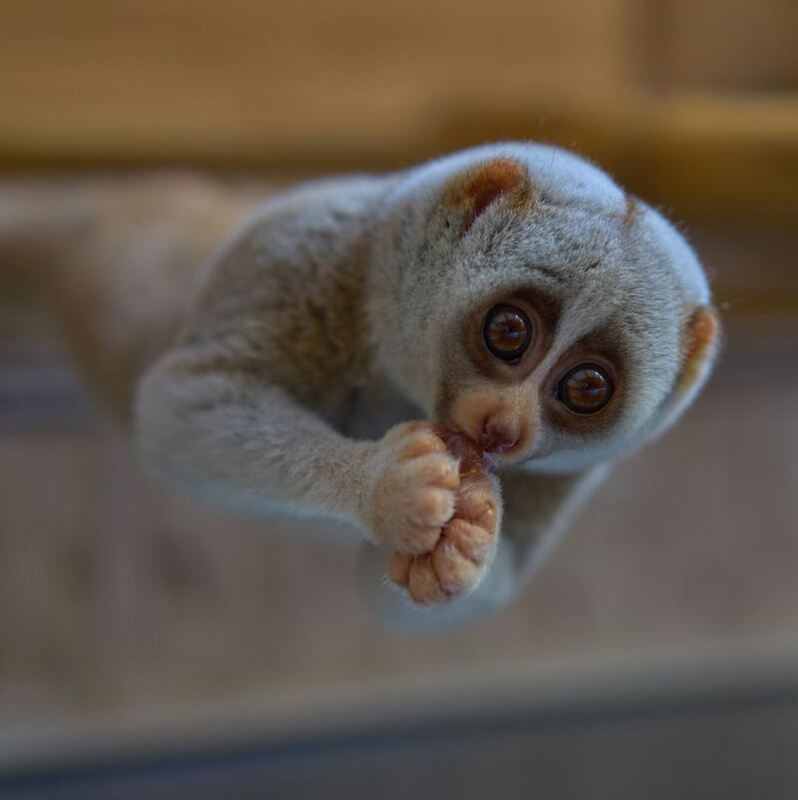 The good looking loris can finish human beings in just one bite. They considered as a deadly animal with an innocent look. 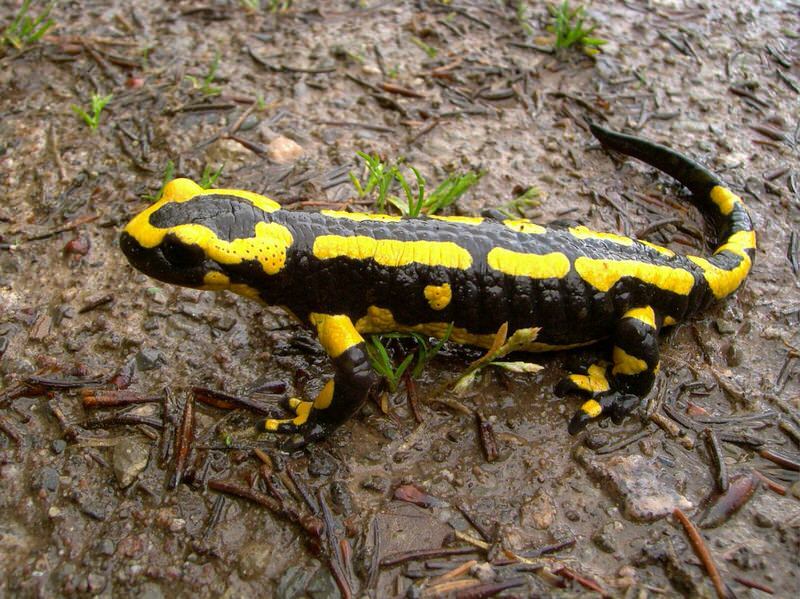 Fire Salamander is a famous type of lizard species mostly found in European regions. They are famous for the superb look in combinations of black and yellow. Some varieties are seen in shades of red and orange colors as well. By the beautiful appearance, they are taken as pets often. They can live for around 50 years. These good looking lizards are found in hilly regions and are more active in evening and night times. But this tiny lizard is poisonous and can cause severe effects. We will be wondered to hear that when threatened these lizards can spray toxins that can attack the central nervous system of victims. It will irritate the mucous membrane of the victim, and later entire circulation of the body. A large dose of these lizard’s toxin is profoundly harmful to the organisms. The primary toxin called alkaloid samandarin causes issues like hypertension and muscle convulsions — the glands generating this poison situated in the body areas of lizard. The colored regions of their body and the glands are usually related. The secretions from these lizards are harmful to human life. The bright colors of the lizards also considered as a warning sign to other organisms that it is poisonous. It is dangerous for the human to get in contact with this pretty lizard. Of course, it is not that pretty as it looks. Beaver is the most abundant type of gnawing mammals. 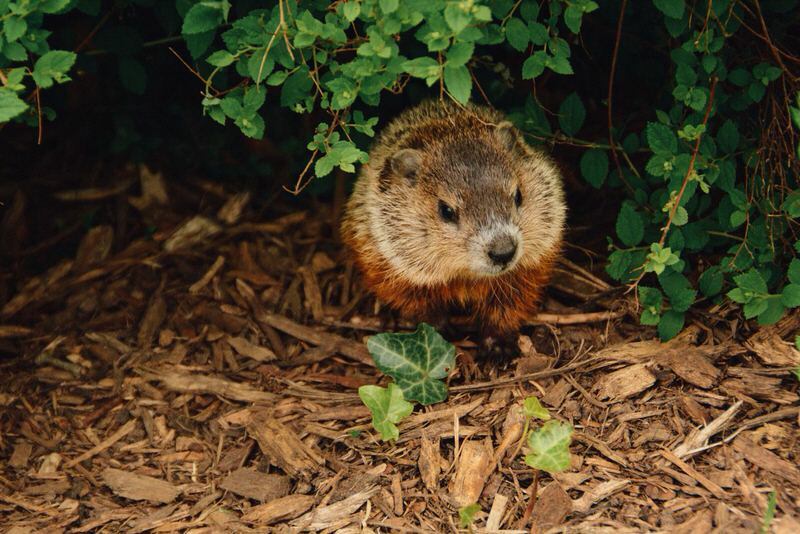 These cute animals are nocturnal and are native of North America and Eurasia. The unique nature of these animals is that they build homes in the form of dams, canals, and lodges. The beavers build colonies, and it will have one or more dams which help them to escape from predators. It makes them easy to float food and building materials. Some people prefer to grow them as domestic pets. Beaver attacks are quite common to hear these days. They are usually aggressive while someone disturbs their natural habitat. Also, they will cause injuries to human beings when they suffer from rabies. During day times due to fear, they will attack humans. A significant factor is that they are capable of attacking people both in land and water. Their trademark is the sharp front teeth, which can pass through the limbs of victims. It will result in heavy bleeding and severe issues. Their bites can sometimes cause damage to the arteries which will result in fatal death. Also, there are some cases reported against their attack on humans and even on domestic animals as well. Thus provoking these cute animals in any way will cause fatal results. It will be better to leave them calm in their natural habitat itself. 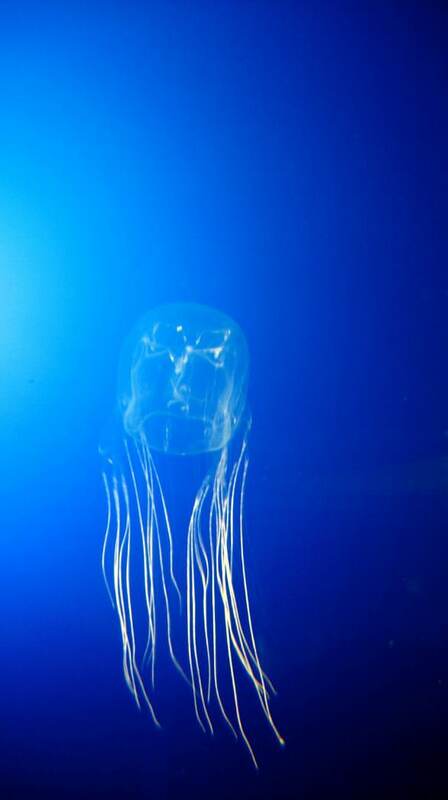 Box Jellyfish are a marine living known for their cube-shaped body. The Australian box jellyfish usually found in northern Australia and Indopacific region. They got an attractive blue color and people will like to have a touch. But these fishes are considered as the most venomous creature in the marine world. Several species cause human deaths as well. The Australian box jellyfish have about 60 tentacles in the body. They are around 15 foot long, with venom content that can kill 60 people. They never look harmful in sight, but the sting from them got injurious effects. It includes paralysis, cardiac arrest, and even immediate death. The exposure of a body part to three meters of tentacles is enough for these vital issues. The pain got from the stung is too difficult to bear and can cause shock to the victim. The severity of the cases depends on the number of tentacles involved and the sensitivity of the victim’s skin. These fast swimmers have 24 eyes around the body which makes them more powerful. Thus these cute jellies are tougher to handle. So, it is always better for the swimmers to wear better suits. The Australian box jellyfish thus holds a position in deadly animals list that may seem to be harmless. 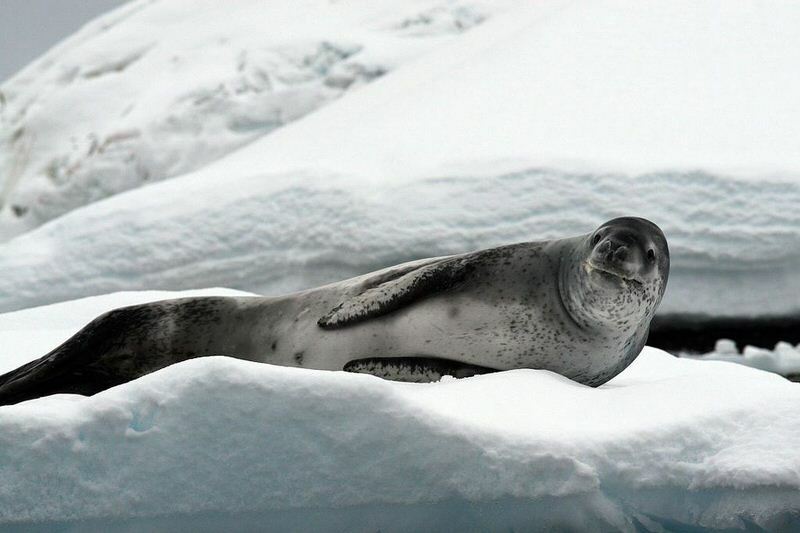 Leopard seal is the second largest species of seals in the marine world. They are just next to the killer whales if submarine. These seals found in Australia, New Zealand, and South African warmer regions. They look too funny and innocent in appearance. But you will be shocked to hear that they try to fool us by the funny look! They are highly aggressive towards human beings. They will bite the people and will drag them into the ice or water. There are many biologists and travelers, suffered from their attack. The seals also have a nature of attacking boats as well. This attacking nature makes it difficult for the researchers to travel in water and to safeguard their crafts. These huge seals will take over the place where they reside. They always prefer to be in groups, and it will be uncommon to see them alone. The diet of these seals includes items in water. They prefer to eat penguins since it’s easy for these fast-moving predators to catch them. No matter the prey is in land or water; the seal grabs them with feet and thrash them to and fro. They can swallow items, or they can tear off large portions. The aggressive nature of the organisms makes it difficult to understand more about them. One fact is that they look harmless, and are highly aggressive in real. 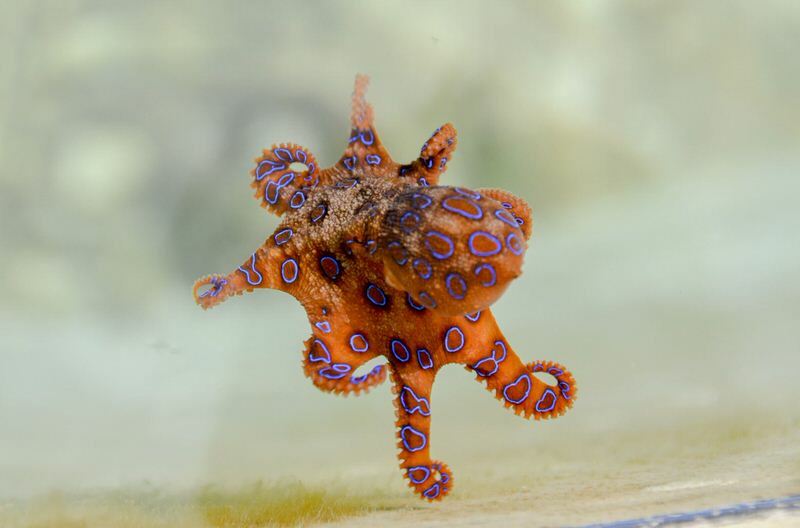 The blue-ringed octopus looks like a cute jewel with blue colored rings over them. Yes, at first look they seem to be innocent and attractive. These octopus varieties live in Pacific and Indian Ocean regions. They are only about 12 to 20 cm in length. But never underestimate the power of these ultimate killers! These octopuses considered as one among the top poisonous animals in the ocean. They are dangerous to human beings as well. When they are provoked or even handled, their powerful toxin can cause significant impacts on the human body. Blue-ringed octopus uses this poison for hunting preys. Their bites are sometimes hard to realize since it is painless. But later the toxin will cause severe pain and numbness. Sometimes immediately respiratory issues and paralysis will happen. Thus the blue-ringed beauty causes unconsciousness and death. Tetrodotoxin is present in the venom of this octopus. It is considered to be more powerful than even cyanide. The small-sized creature can contain a toxin in the body, which can kill around 26 people within minutes. It is always better to avoid this blue and yellow beauty. They usually attack human while provoking them. So it’s better to keep your hands with you and avoid getting amazed by this dangerous beauty. The poison dart frog is looking stunning in several color combinations. Undoubtedly you will move for further observation on these super looking frogs. But beware of one thing. They are one of the most poisonous animals in the overall world. This pretty small frog have toxin to kill human beings. They got the name when Americans used this venom on their weapon blowgun darts. This amphibian lives in the rain forest of Colombia. Even five centimeters long golden frog can kill around ten men at a time. The most critical fact is that a single touch or bite of this frog is enough for fatal death. They are visible in many colors ranging from yellow, green, red and orange. All these colors warn its predators about the danger. 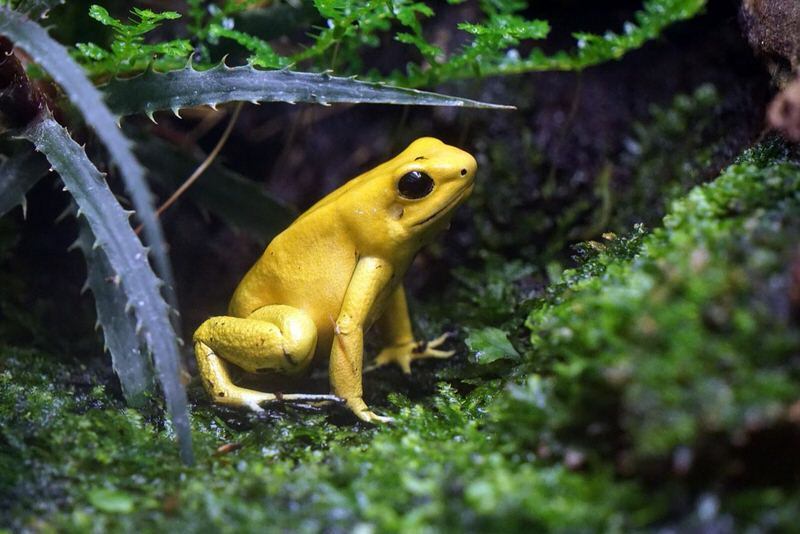 Out of 100 species of dart frogs, the golden dart frog is the most dangerous ones. Scientists are interested in saving these frogs because they are useful in some medicinal applications. The frogs never synthesize the poison by own. It is from the chemicals of their anthropoid prey types. Thus the dart frog species posses a threat to entire organisms, and only a few can survive this poison. It is better for the human to understand that their numerous bright colors warn us to stay away. They are popular as the top one animal that seems harmless with killing secrets inside.